Rental Units are NOT available. 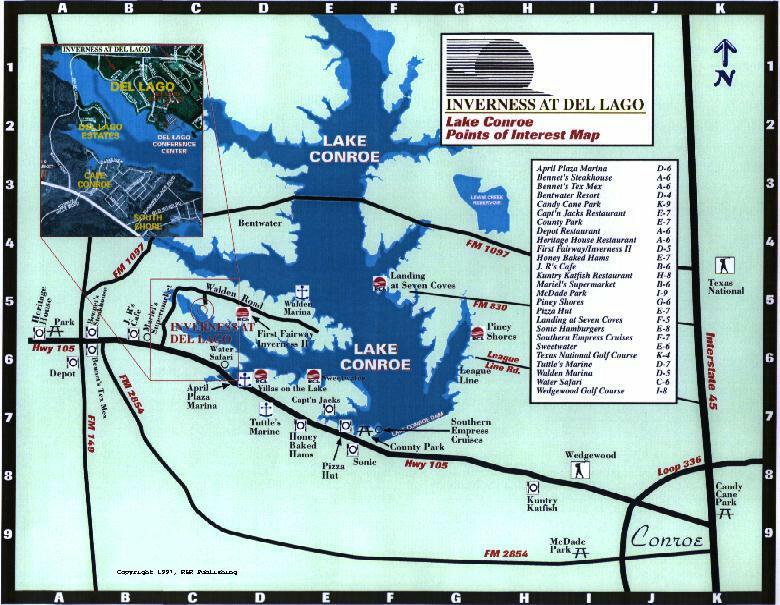 Despite its peaceful location, Inverness at Del Lago is less than an hours drive fron the attractions of Houston. 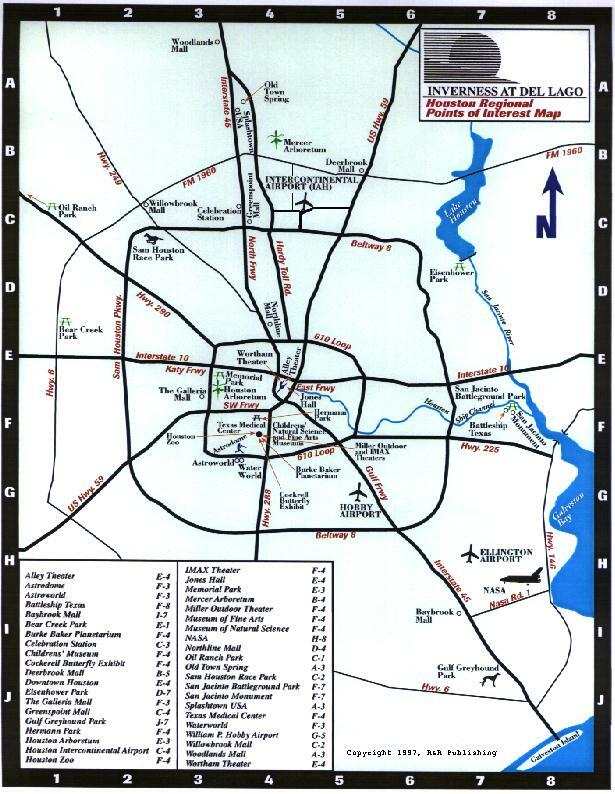 Be sure to include the Johnson Space Center, the Astrodome, and the Museum District in your sightseeing plans. 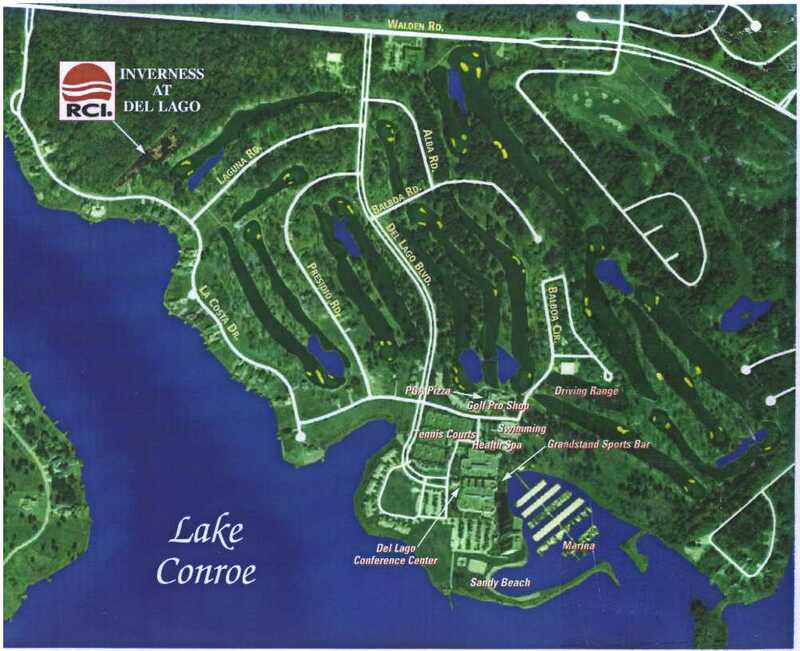 Brochures of area attractions may be obtained by dialing 936-756-6644, or Search TravelTex for nearby cities like Conroe, Houston, and even Lake Conroe. of the immediate area, Lake Conroe, and Houston areas. Go to... Top | Area Golf | Unit Description | Pictures | Map to the resort. Copyright 1998-2002 Inverness at Del Lago Condominium Association, Inc.
All rights reserved. Review our Legal page for additional information.